The massive number of fans in the student section at Lehi High School is intimidating to any team that steps foot into their gym. Every student in that crowd could instantly tell you who the Lehi boys basketball team looks to most as its clutch player. That’s Tanner Nygren. Nygren, a junior, is the Pioneers’ leading scorer. 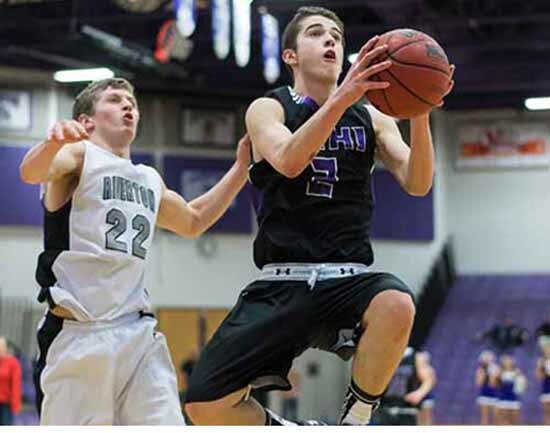 His ability to take the ball to the basket and to hit key shots when the game is on the line brought Lehi victories in many of its games early in the season. A ton of close losses once it got into the teeth of the difficult Region 4 schedule cost Lehi a shot at a postseason run even after the impressive start, but Nygren was certainly one of the team’s bright spots. The guard averaged nearly 24 points per game for the 2014-2015 Pioneers. But as the team’s leading scorer, Tanner’s strengths as a player go far past the points he can put on the board. Tanner Nygren has been playing basketball since he was three years old, and his love for the game has been one of the factors pushing him to success. The Pioneer coaching staff saw his potential at a very young age, years before he was brought up to the high school team as a freshman. Before playing on the high school level, he always played on club teams above his grade. This experience, along with his club coaches, helped him start down the path to his successful high school career. 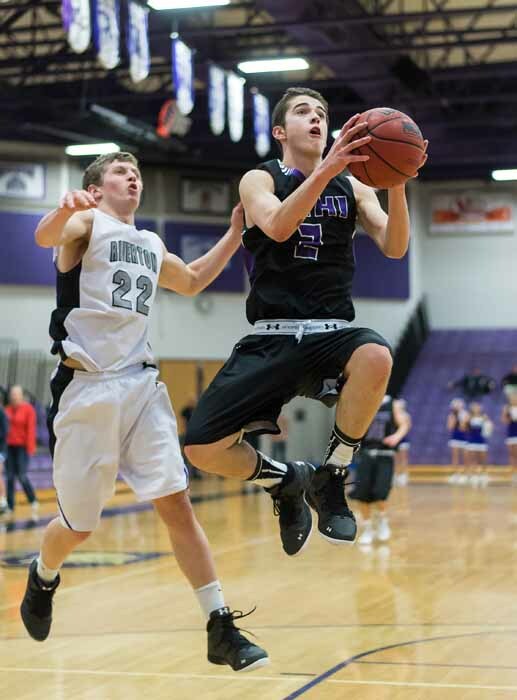 Nygren’s athleticism is only part of the contributor to his ability on the court. Nygren not only plays the role as one of the team’s leading scorers, but as that of a team leader. He is known to push his teammates in practice, and his leadership doesn’t just end there, it extends to the friendships that Tanner carries with his team off the court. One thing is for sure. Tanner Nygren has a bright basketball future and he is looking to help his high school team take another step forward, he just has to wait until next season. Lehi High student Brynlie Cox wrote this story as part of the Preps Utah/Nu Skin student journalism program.